Most people have heard of Stevie Wonder, the American blind R&B virtuoso, who was discovered at the tender age of 11. Most people versed in classical music have probably heard of the Italian classical tenor Andrea Bocelli, who was born with poor eyesight, and turned blind by the age of 12. 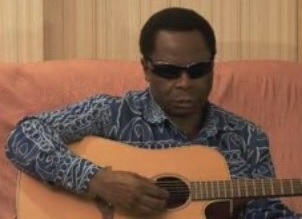 But how many of you have heard of the Cameroonian blind singer André Marie Tala who influenced an entire generation of Cameroonian and African artists? the singer who was even plagiarized by the mighty James Brown? To those who visit my blog, you have probably listened to two of his classic songs, which are odes to some of Africa’s beautiful capitals: Yaoundé, and N’Djamena, the capitals of Cameroon and Chad respectively. 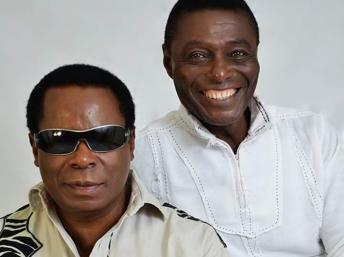 Only after I wrote about N’Djamena did I realize that André Marie Tala had performed at the Olympia (with Sam Fan Thomas, another giant of Cameroonian music) on May 17th to celebrate his 45 year anniversary in the music industry. Unlike all the singers cited earlier, Tala plays the guitar. Born in the mountains of the Western province of Cameroon in 1950, Tala loses his mother at the tender age of 4, and then his father at 16. He totally loses sight at the age of 15, and will be taken in by his grandmother. He builds his very first guitar with threads made out of nylon, and bamboo, and works on reproducing sounds from his favorite musicians. He starts his first group, the Rock Boys, with which he goes on to have immediate success. The Rock Boys later morphed into the Black Tigers in 1967 with his friend, guitar player, Sam Fan Thomas. At the age of 20, he moves to Paris and collaborates with the great Cameroonian saxophone player Manu Dibango; he lands his first big musical contract. Thus were born the titles Sikati, Po tak Si nan (laissez Dieu tranquille ! – leave God in peace), and Namala Ébolo. Big success! Po tak Si nan is a mixture of soul, jazz, and rhythm n’ blues, blend in with a mix of Cameroonian musical styles such as Makossa and Bikutsi. Tala calls his style “Tchamassi”. 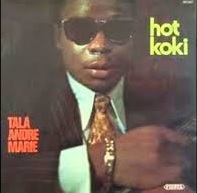 In 1973, his album “Hot Koki” knows international success, and his single “Hot Koki” is even plagiarized by the great James Brown under the new title “The Hustle”. In 1978, after 4 years of judiciary struggles, Tala is awarded justice, and James Brown is condemned to pay him back all his rights. The big themes of Tala’s music are peace, love, and harmony. 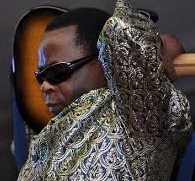 In the 90s, he brings Bend Skin to the forefront of Cameroonian music, a folkloric fusion of styles from the grasslands of Cameroon. It is often associated with the moto-taxis which are called by the same name Bend-Skin. By choosing the Olympia (the quintessential stage for music in France), for his musical jubilee, André Marie Tala wants to launch a new beginning for the Cameroonian music which has always been rich and influenced millions, but for the past decade has stagnated. 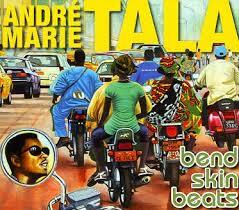 Happy 45th-anniversary to Andre Marie Tala, and to many more albums of great music. I live you here with one of my favorite Tala’s song, Nomtema. Do not forget to check out “HOT KOKI” and check out the similitude with James Brown’s “THE HUSTLE“; it is the same, just in English! « Why the Name: N’Djamena?